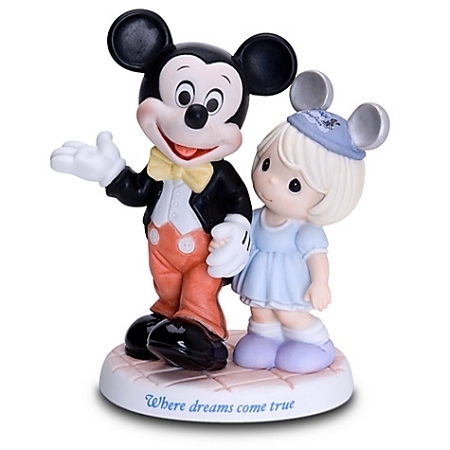 Our ''Where Dreams Come True'' Disney Girl and Mickey Mouse Figurine by Precious Moments shows all the innocent wonder of a young Disney fan. 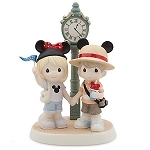 It's a charming addition to your Precious Moments figurine collection. Mickey has a sweet new friend! Our ''Where Dreams Come True'' Disney Girl and Mickey Mouse Figurine by Precious Moments shows all the innocent wonder of a young Disney fan when she visits this Magical place where dreams really do come true. 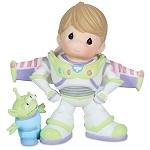 It's a charming addition to your Precious Moments figurine collection.